ARTWORK ： 000 ～ 009 | OFFICE KANKE/GK. 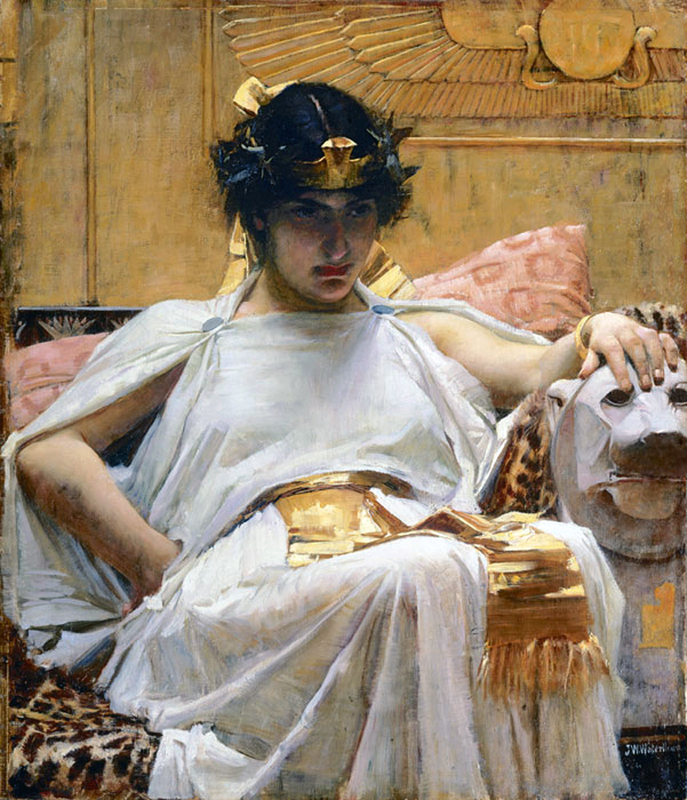 Cleopatra, 1888. John William Waterhouse, Private collection. ma sempre v’amero―nel mio penare. chi vagheggiar può mai―e non v’amare? The Meeting of Antony and Cleopatra, 41 B.C. 1885. 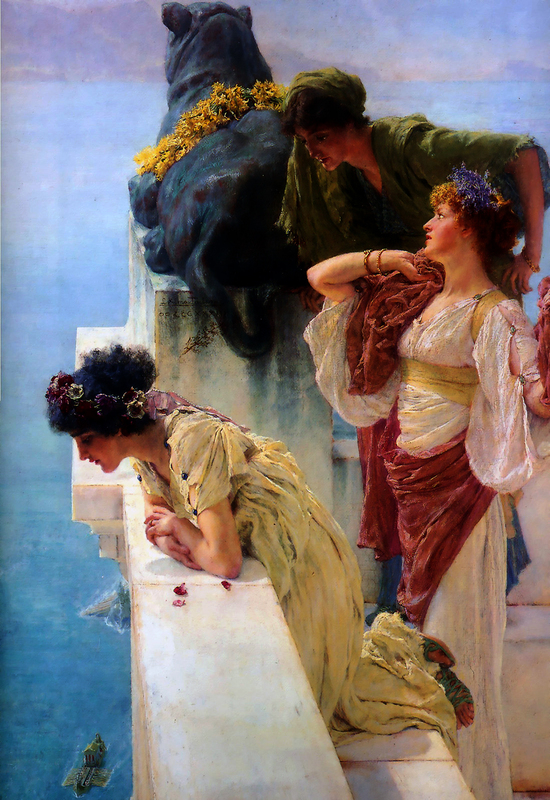 Sir Lawrence Alma-Tadema, Private collection. Hast thou no care of me? Are level now with men. I dream’t there was an Emperor Antony. His legs bestrid the ocean; his rear’d arm crested the world. Above the element they lived in. As this I dreamed of? You lie，up to the hearing of the gods. Samuel Barber, Choruses from “ Anthony and Cleopatra ” Op.40 / William Shakespeare. William Shakespeare, ” Anthony and Cleopatra “. 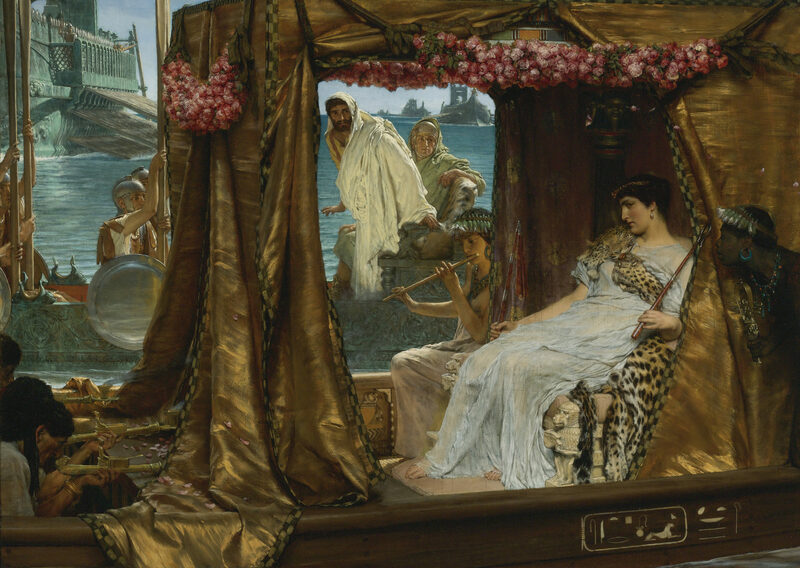 Samuel Daniel, ” The Tragedy of Cleopatra “. Le Chien（ The Dog ）, 1820 ～ 1823. 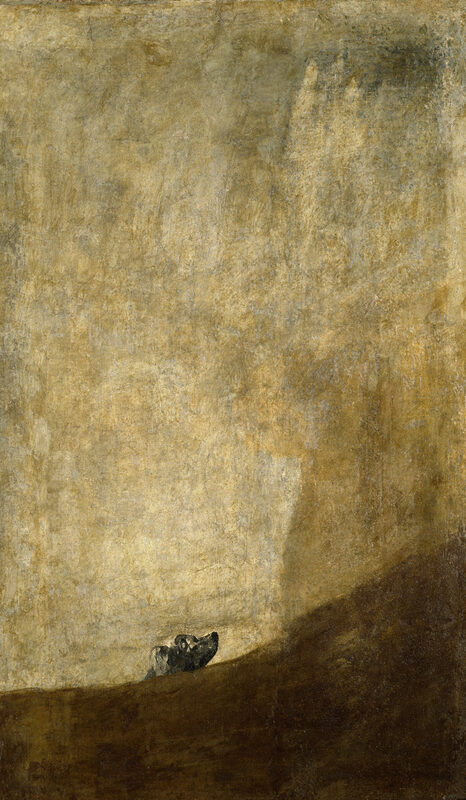 Francisco José de Goya y Lucientes, Museo del Prado（ Prado Museum ）, Madrid. Hope, Second version, 1886. George Frederic Watts, Tate Britain（ National Gallery of British Art ）,London. che non ci trovo fedeltà nessuna. 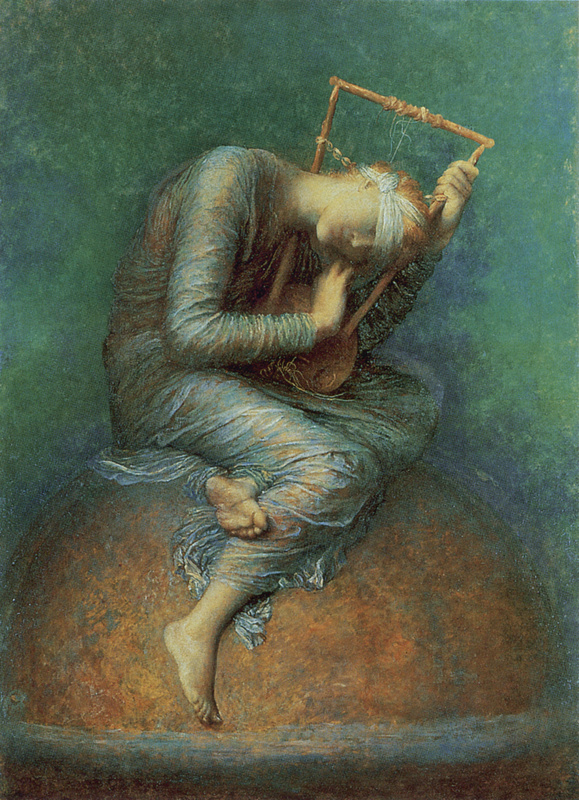 Hope（ First version ）, 1885. 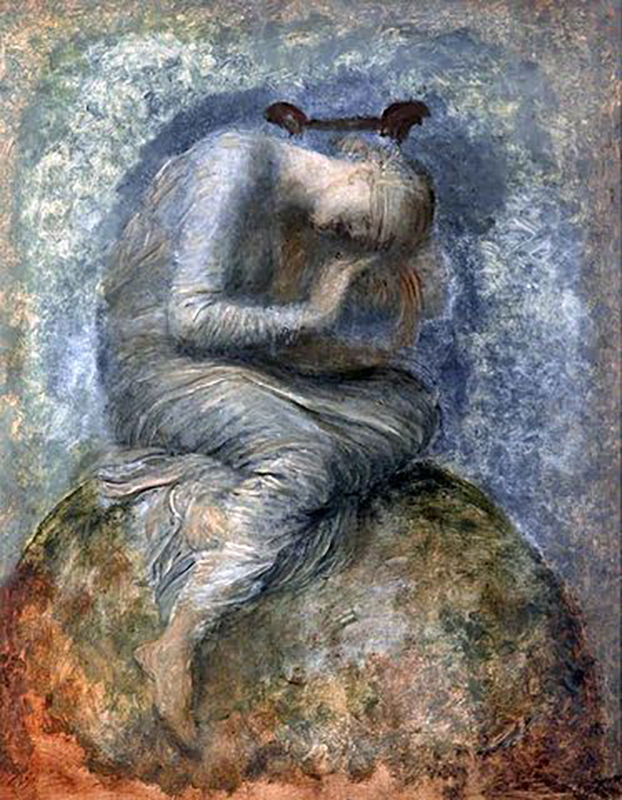 George Frederic Watts, Compton, near Guildford in Surrey, Surrey, South East, England, United Kingdom. 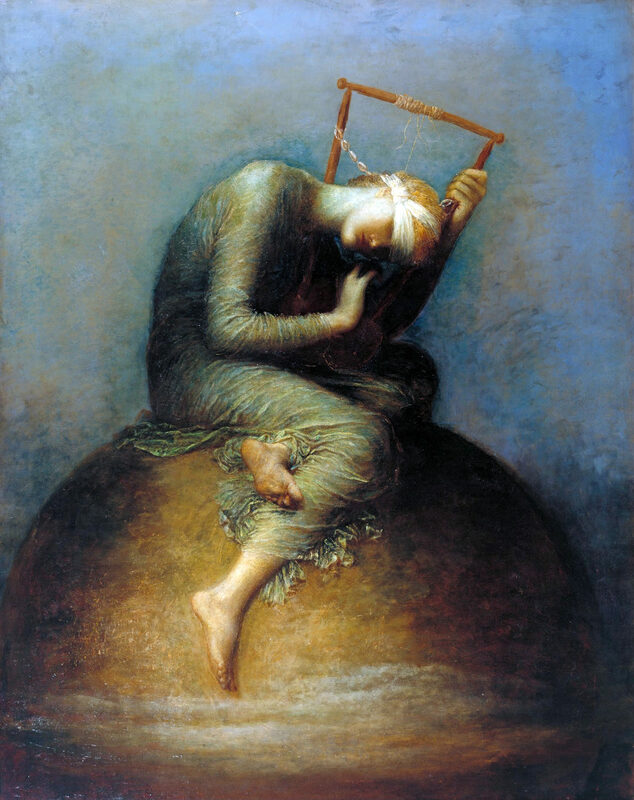 Watts preferred his second version of Hope, which was painted in softer tones. This version was given to the English nation on its completion and exhibited worldwide, becoming the best-known version of the image. Hope（ oil sketch for Hope ）, circa 1877 – 1886. George Frederic Watts, Compton, Walker Art Gallery, Liverpool. <Official Website : OFFICE KANKE / GK. 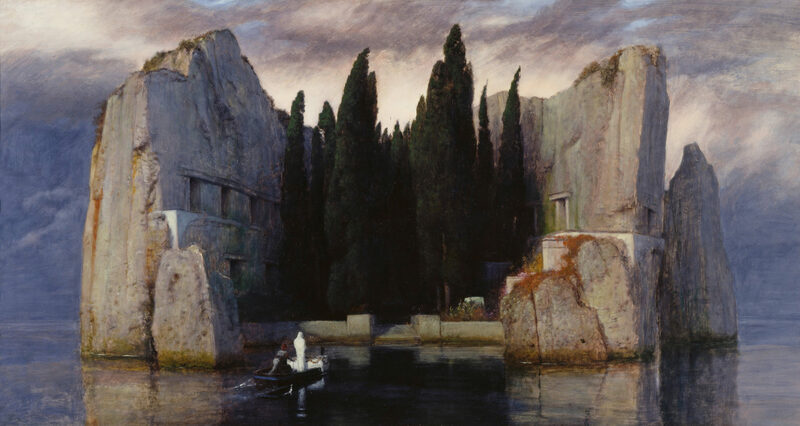 Die Toteninsel III（ Isle of the Dead, 3rd version）, 1883. Arnold Böcklin, Alte Nationalgalerie（ Old National Gallery ）, in Berlin. Voi piangete, voi piangete il mal del mondo. Solitude（ Solitude ）, circa 1890. Frederic Leighton, 1st Baron Leighton, Maryhill Museum of Art, Maryhill in the U.S. state of Washington. Ah! tu sola il sai，tu sol! 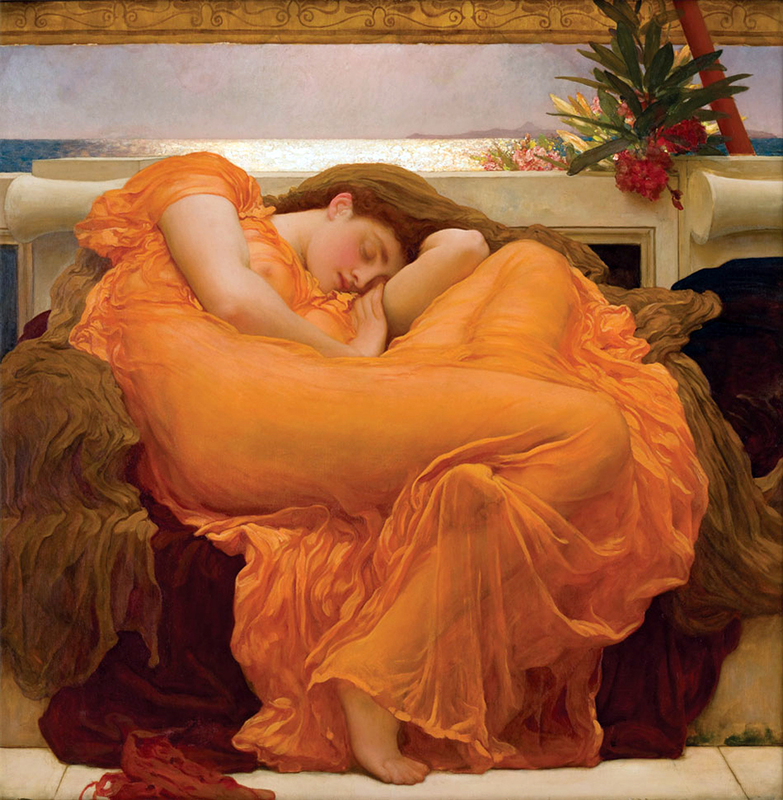 Flaming June（Junio flameante. Junio flameante. June flamboyante. Avvampante giugno. Sol ardente de junho ）, 1895. Frederic Leighton, 1st Baron Leighton, Museo de Arte de Ponce（ MAP ）, Avenida Las Américas, Ponce, Puerto Rico. 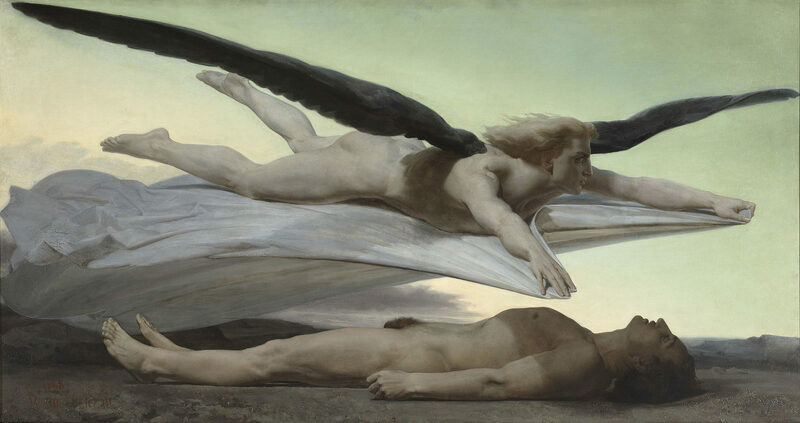 Égalité devant la mort（ Equality Before Death ）, 1848. William – Adolphe Bouguereau（ Adolphe William Bouguereau ）, Musée d’Orsay, Paris. Pygmalion and Galatea, ca. 1890 ～ 1892, 1890. Jean-Léon Gérôme, Metropolitan Museum of Art of New York City, colloquially ” the Met “. Perché spietati omai più siete? 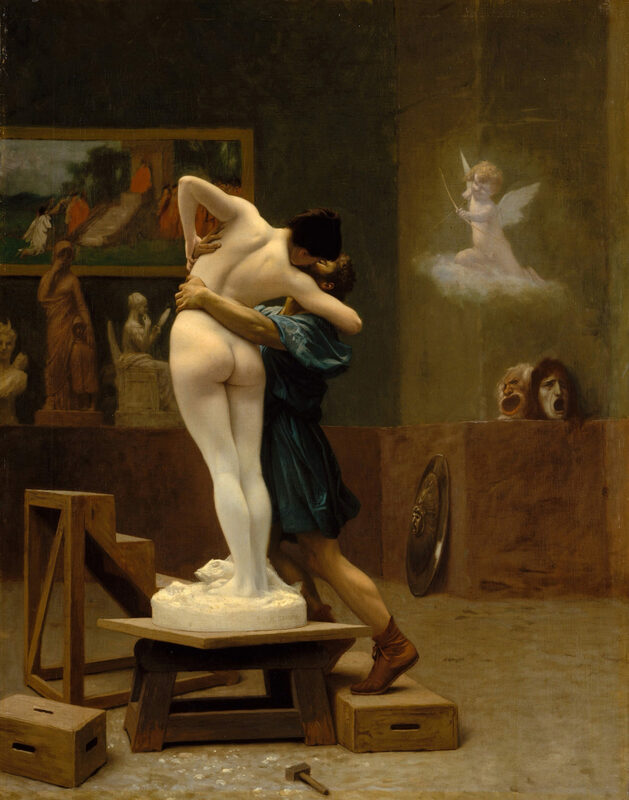 Gérome, La fin de la pose（ The end of the pose ）, 1886. Jean-Léon Gérôme, Private collection. Perchè mi celi l’amoroso viso? E gli occhi tuoi mi fan sentire amore. Ch’io veggio quel ch’Amor di te ragiona. Provo dolor che mai non m’abbandona. Fidel soggetto de lo tuo splendore. Working in Marble or The Artist Sculpting Tanagra&nbsp, 1890. Jean-Léon Gérôme, Dahesh Museum of Art, Manhattan, New York. le dono il mio core. A Coign of Vantage, 1895. Sir Lawrence Alma-Tadema（ Lourens Alma Tadema ）, Private collection. Macbeth, circa 1606. William Shakespeare. i.e., a handy corner (coign = corner). In suon di gavotta gentile? La larga sua corsa febbrile? Silver Favourites（ A woman feeding fishes in a marblescape. ）, 1903. 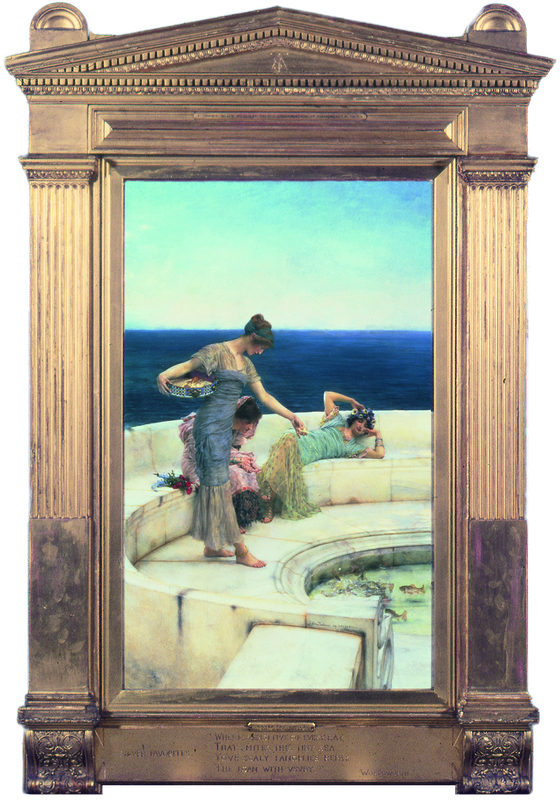 Sir Lawrence Alma-Tadema（ Lourens Alma Tadema ）, Manchester City Art Gallery, Manchester, IPA, England. panel, 69.1 x 42.2 cm （ 27.2 × 16.6 in ）, frame 110 x 71 cm （ 43.3 × 27.9 in ）. Silver Favourites（ A woman feeding fishes in a marblescape. ）, 1903. 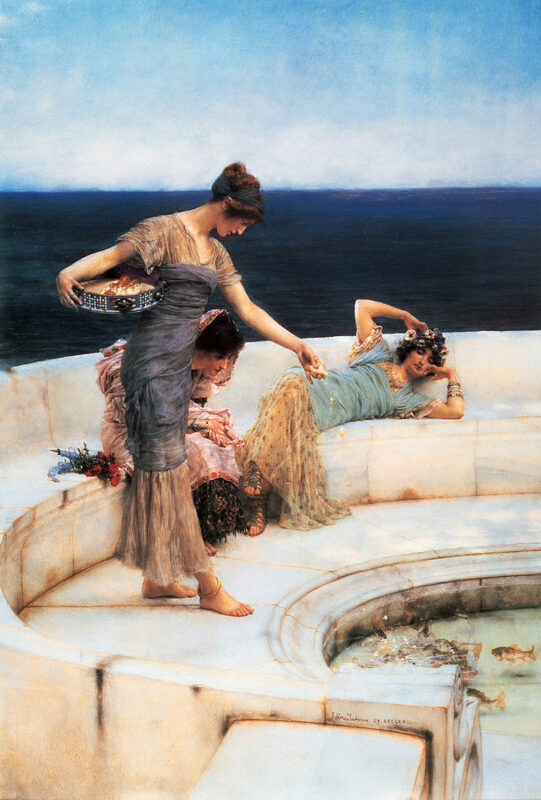 Sir Lawrence Alma-Tadema（ Lourens Alma Tadema ）. 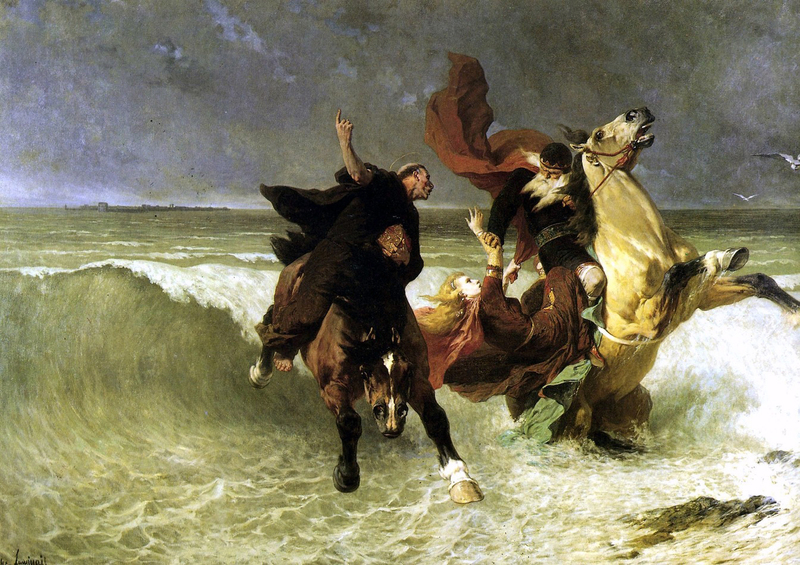 The Flight of Gradlon Mawr（ 330-434 AD ）, circa 1884. Évariste-Vital Luminais, Musée des Beaux-Arts de Quimper, Quimper, Brittany, France. Opéra, Le Roi d’Ys : Acte Ⅱ.
Une grande salle du Palais d’Ys, Margared, debout prés d’une fenétre, regarde la campagne. A tout renié pour te conquérir! Laissant à mon âme un peu moins d’espoir. C’est Rozenn, je le sens, qu’il aime et qu’il admire. Les doux aveux qu’il soupire. J’espère encor pourtant, si grande est ma démence! Vous qui m’aurez frappée, implorez le destin! A la haine que rien n’éteint! 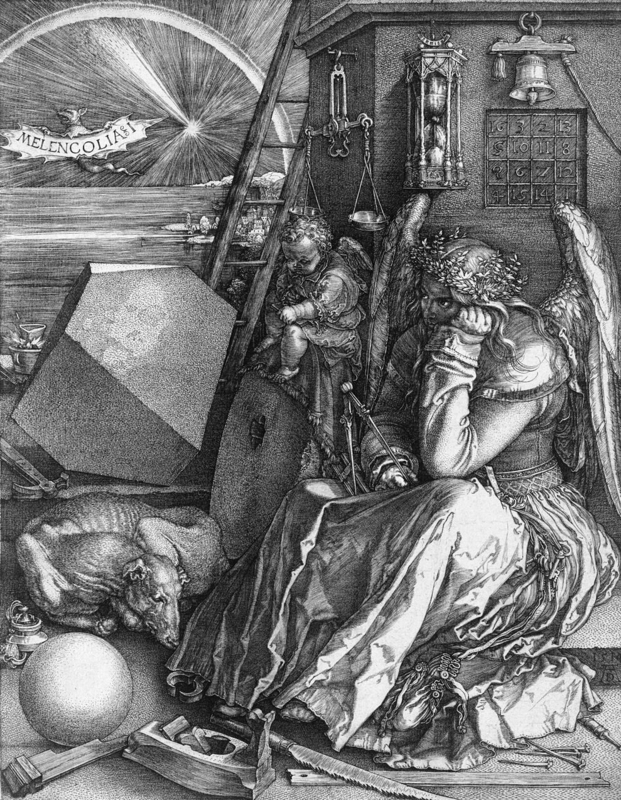 Victor Antoine Édouard Lalo, “ Opéra ; Le Roi d’Ys ” Acte Ⅰ / Ⅱ / Ⅲ.
Melencolia Ⅰ, 1514. Albrecht Dürer, The Städel Museum, officially the Städelsches Kunstinstitut und Städtische Galerie, is an art museum in Frankfurt. Aber fragt mich nur nicht，wie?